Tyler, the Creator, finds a new maturity in his third album, "Wolf." 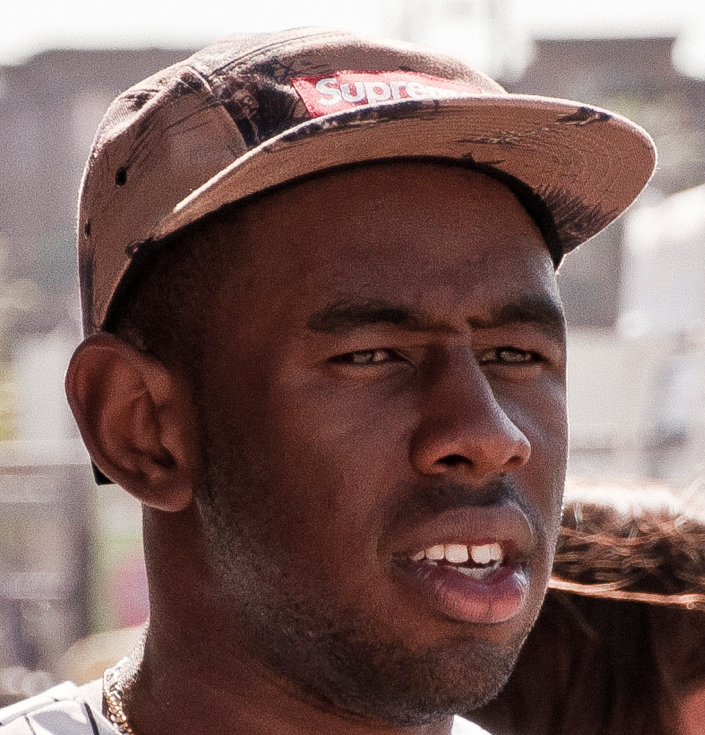 Odd Future front man Tyler Okonma, known by the stage name Tyler, the Creator, pitches a persona that vacillates between aggressive hostility and careful introspection. Both his debut and sophomore albums contain the ranting of a frustrated juvenile. He attacked the music blogs that refused to praise him; his misogynistic lyrics stunned audiences. However, Okonma’s third studio album, “Wolf,” which dropped April 2, departs from this earlier preoccupation with success. For the 22-year-old artist, reducing the hostile and macabre lyrics improves the quality of his productions. Okonma and the Odd Future gang — including Frank Ocean, Domo Genesis and Hodgy Beats — pull back the curtain and reveal a different side of their psyches, a change that suggests both musical and personal maturation. Sonically, “Wolf” focuses on melody, a quality that permeates the album and makes even the louder, faster songs enjoyable. A flurry of hi-hats hiss on the upbeat “Trashwang.” Gunfire and screaming provide an introduction to the heavy bass, but a piano bridge arises in the middle of the song, evidencing the sublime musical quality “Wolf” offers. The only negative aspect of “Wolf” is the second half of the album. A number of down-tempo songs, both long and slow, are placed back to back, harming the tempo. The jazzy, melodic “Treehome95” is followed by “Tamale,” which is then followed by “Lone.” But while “Treehome95” and “Lone” are both similarly introspective and slow-paced, “Tamale” rings with bells and circus drums, essentially interrupting the musical order. Excellent songs fill “Wolf,” and although the ordering is not superb, Okonma still forges a collection of enduring tracks. He divulges intimate aspects of his life on “Answer.” “Lone” works in the same way, integrating Okonma’s established technique of incorporating a fictional psychiatrist into the album’s plot. His adroit rapping ability emerges on “48,” a song on monetary success. In some respects Okonma will forever be acrimonious. His abrasive nature, paired with an innate talent, distinguishes him from other artists of the same genre. But “Wolf” advances Okonma in a different direction, one that perhaps is more sincere than his prior work.